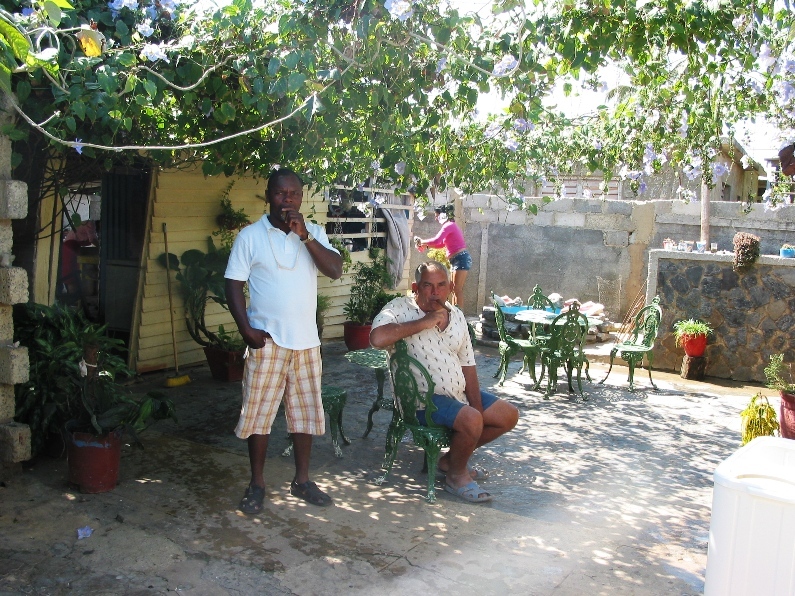 From the town Puerto de la Esperanza at the north-west coast of Cuba. 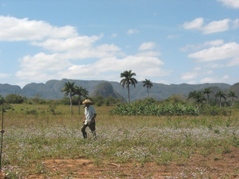 Cuba is a country known to almost everybody. It has a very unique history during the last 60 years. One of the things, which makes its history so unique is, that in many ways it is a country completely isolated from the rest of the world. There are many reasons for that. 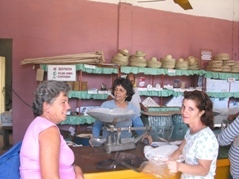 In the following, I will try do describe some of them, based on my trip to Cuba in March / April 2010. 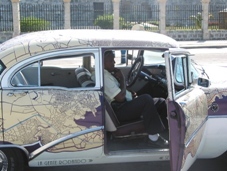 The reason why I chose Cuba as a travel destination was, that I wanted a direct experience in a country completely different from the rest of the world. 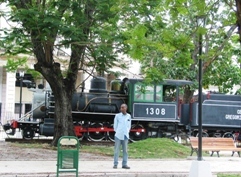 Cuba became independent in 1902. But in reality, the country was extremely dominated by USA the following 50 years and playground for rich Americans, the mafia (and Ernest Hemingway!) 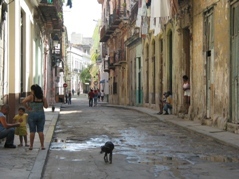 until the middle of the 1950’es, where a certain Fidel Castro with his brother Raul started to make some fatal attacks against the government. But when the legendary Che Guevara started to work together with Fidel Castro at the end of 1958, they managed to expel Batista from the country. 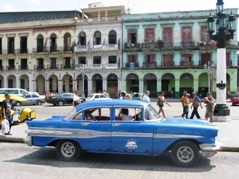 Batista left a lot of big American cars from that period, and several of them are still driving on the roads of Cuba. The violent break with USA soon caused a break with all economic and diplomatic relations with The Unites States, which made a trade embargo against the country. This trade embargo still exist, and it has very serious consequences to the country. 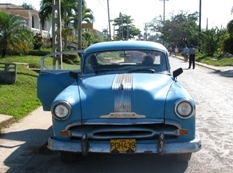 Cuba does not make cars and aeroplanes, and until now, Cuba only has very little oil. This embargo is one of the reasons why the very old American cars are still driving on the roads. Because of the entry of socialism, it was logical to turn the interest towards the communist countries in Eeastern Europe. Because of that, Cuba became completely dependent of The Sovjet Union. So when The Sovjet Union collapsed in 1989, Cuba faced a very serious crisis. 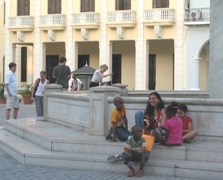 One of the positive things in Cuba are, that all children must go to school, and as a result of that, almost everybody can read and write today. 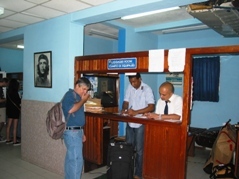 Besides, Cuba has one of the world’s best hospitals and health care. These things are very unique compared to Middle and South America. Another very unique thing is, that Cuba is completely free of Americans and American interests. 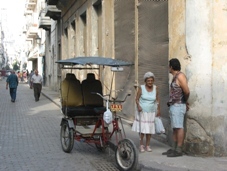 USA does not allow its citizens to visit Cuba, and Cuba refuses Americans to visit their country! However, during the last 20 years, the number of tourists from other countries than USA have grown dramatically, and today, tourism is on of the most important money sources of the country. 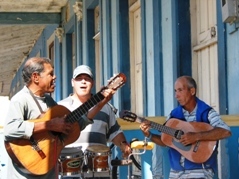 Even today, Cuba is a very special country to visit as a tourist. 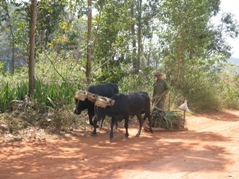 The old cars, not much traffic on the roads, only few and poor shops with rice, beans and vegetables. 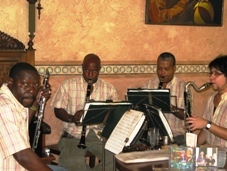 But the people are very friendly, and it’s no exaggeration to say, that in the big towns, especially in the capital Havanna, there is music on almost every street corner. 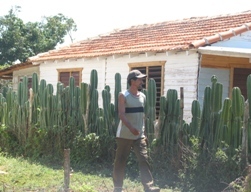 There is a lot of beautiful old houses in Havanna, but most of them are in a bad condition. 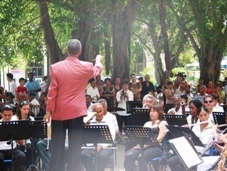 The government has started a restoration project, which could make Havanna to one of the most beautiful cities of the world. 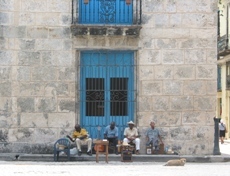 We stayed 3 days in Havanna. 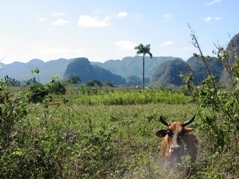 Then we took a bus to Vinales, which is an very beautiful natural area in the western part of the island. Here we stayed 5 days, living in the house of a private family. 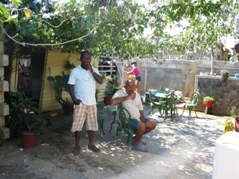 The last days were spent in Varadero on a peninsula at the north coast of Cuba. 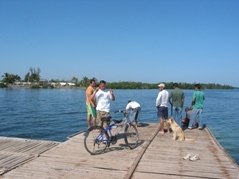 Varadero is pure tourism, but the beach is fantastic. Click on the photos for bigger size! The photos on this page are taken with a Canon G2 digital camera. In order to reduce the download time, the size and the data of the photos are strongly reduced compared to the originals, and this has inevitably reduced the technical quality, too. However, all photos may be delivered in full size and quality for use in books, magazines, papers, etc. The price is 70 Euro per picture. 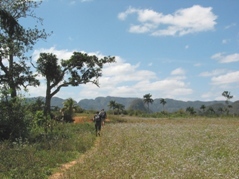 Click HERE to see the main entrance to the English version of my home page, with exciting and interesting articles about travelling and trekking. Click HERE, if you have any comments, or if you want to buy some of the photos.